Jennifer from the Woolen Willow.. I had this scheduled to post and it didn’t…so here it is now… Do you know Jennifer? She and her Sister and Sister In-Law (I believe )are the magic behind Primitive Quilts and Projects!!! Not ME!!! So many people think this magazine is mine…They see Primitive and think that it must be mine…I am sorry but NO WAY do I have any time or energy to be putting out a magazine 4 times a year!!! Now I do have projects in them but I do not own or run this awesome magazine…so hopefully that clears it up and I don’t get anymore credit for it! I have a pattern to give away for Log Cabin Garden from Jen…now lets see what can we do for a give-away….OK…how about this…I have a confession…I have never made a “true” log cabin quilt! right??? what is wrong with me??? I have made courthouse steps and so on but not a true log cabin….How many log cabin quilts have you made? Are you a loser like me? or have you made many? Comment to win Jens pattern…maybe to redeem myself I will do the sample for this BOM??? Previous Post Cathy’ pincushion book winner is….. I have made several log cabin blocks to put in a quilt, but never a complete log cabin quilt. Log cabin is my favorite quilt of all. Add wool and I am in heaven. Would LOVE to do this quilt. I have also wanted to make a log cabin quilt which is why i have a set 3 rulers that shockingly still have the tags on. Maybe if I won the pattern it would help me get the tags off the rulers and make me use them. LOL. It’s amazing how many different ways a log cabin can look. I get the Primitive Magazine and have done so since they started. There’s always beautiful projects. I have only made 2 log cabin quilts but I do really love the pattern. I think I am a loser too. I have never made a log cabin quilt. I made few log cabin pillows at one but I don’t think that qualifies. This pattern maybe just what I need. Being from West Virginia, I just want to say I am very proud of those girls for putting together such a great magazine that is now well known in the quilting world. Love the magazine and their shop…so inspiring!!! Well, I have made only one log cabin quilt (acutally a wall hanging/tablecloth size). The barn raising layout. It was one of my very first quilts. I have never even thought about making anotherone. I have made a couple log cabins and one courthouse steps quilt. I’d love to give this one a go. It looks great! It just so happens that my very first quilt was a log cabin done as a “quilt as you go”. We used it ’til it was almost worn to threads. I so enjoyed making it and using it that my 2nd quilt was also a log cabin but done in the traditional pieced top and then quilted. I especially love Jennifer’s log cabin with the wool appliques. My very first quilt was a log cabin. I have made little ones but want to make a bed size one in my favorite country colors someday. I have used some log cabin blocks as a round in a medallion style quilt, but I’ve never made an entire quilt of log cabin blocks. 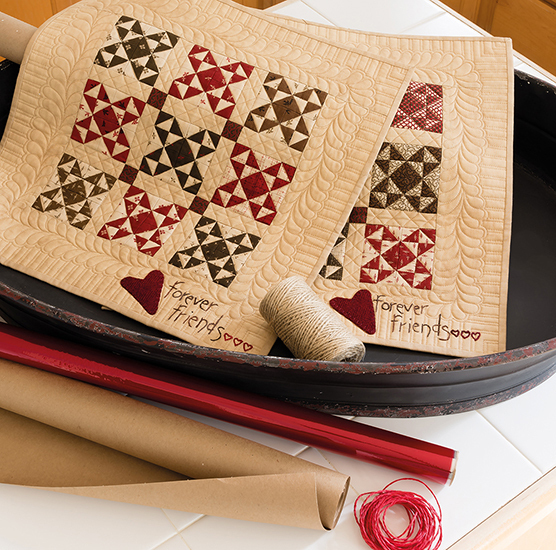 Love the log cabin block but have never made a quilt! Everything else but the Log Cabin! I made one log cabin quilt – the third quilt I ever made. I had a stencil of a little house that I put in the center block which was red, and the cabin strips were greens for the darks and creams for the lights. I just finished a top for a courthouse steps quilt that is similar to a log cabin. My very first quilt was a log cabin from Eleanor Burns’ book. I’ve since done many traditional and ‘liberated’ log cabin quilts. What I like most is the variety of settings you can choose from to create a unique design. I’m the same – I have made log cabin blocks but never a quilt from them. Gosh that is a gorgeous pattern! I am thinking that the quilt I made is also like yours, even though it was said to be Log Cabin, but then again I have a terrible memory and could have made it as a Log Cabin. All I know is that it is beautiful. Thanks for your shop, I love what you do and the Primitive Quilts and Projects!! I have made just 1. I give most of my work away, this went to a postal worker on her retirement. It was a beautiful blue & white, with red stars at the corners. I smile at the thought of my friend opening this when she retired. Well, I’m almost right there with you Lisa…..I have MANY logs, but NO Log Cabins!!!!!! And I have many STEPS as well, again, not made up into the Court House Steps! One day the steps will meet the Cabins! And I have met Jennifer and her Sisters – they are wonderful gals…. Take care and keep on keeping all of us busy stitchin’! None for me. But they are one of my favorite quilts. I must admit that I have only made log cabin blocks but have yet to put them together in a full size quilts. They are one of my continuing UFOs. I do love this wool one — it could turn out to be my first completed log cabin quilt (and what a beauty it will be. Thanks for the chance to win this pattern. Love the magazine. I have never done a true log cabin quilt either, so don’t feel bad. We can all be losers together. I made a runner with a few blocks, but that doesn’t really count. I would love to make this one, as it has applique as well. That’s makes all quilts better! I’ve made one, but I guess it is technically court house steps! I love these, though, and am working on getting my leaders/enders organized so that I can create these blocks while doing other things. And I so love the addition of the qpplique on this one! I’m a loser also. I do want to make one one day. Thanks for the give away and your awesome shop. I have made a few quilts with the log cabin block, the last being Broken Star by Laundry Basket Quilts. It is a test of the piecing skills! I absolutely LOVE sewing log cabin blocks and have made several quilts over the years……something so satisfying in the production of the blocks and also a great way to use up those 1 1/2 strips left over from other projects that seem to reproduce in the middle of the night when the lights in the sewing are off! I love log cabin blocks but I never seem to make them. This pattern would be a great reason to make log cabins. I have made two log cabin quilts. My beginning quilt class had a log cabin quilt as the project and it was great. Just completed a curved log cabin quilt for a wedding quilt in purple and greens. Love them. I have only made log cabin quilt but I hope to make more one day. I have Woolen Willow’s BOM all wool quilt, the one with the sheep on it. Gretchen, one of the sister’s taught me how to rug hook when she lived a short time in MN. I have been hooked ever since. They are a very talented pair of sisters. One of my favorite parts of the day is visiting your website Lisa, and looking to see what’s new on the NEW tab. Love your wool applique especially and have made many wool mats designed by you. I am keeping my fingers crossed in hopes of winning Jen’s pattern! Lets see……I’ve made one bed size (hand quilted no less), a couple wall sized and several minis. There’s at least one more in me sometime! I have only done one true log cabin. Absolutely no losers if you love quilting!!!!!!!!!!!!!!!!!!!!!!!!!!!!!!!! Log Cabin quilts are one of my favorites! My first Log Cabin was made in 1992 for my son, I even hand quilted it!!! The binding had worn out on his quilt so I just finished new binding. I have been busy making Courthouse Step baby quilts from 30’s reproductions….I really do need to keep one for myself even though my grandchildren are older..maybe keep it for great-grandchildren! One of these days I am going on a road trip to your shop!!! love it love it love it!!! No, but it is own my list of quilts that I really want to make. I have a stack of strips I’ve been hoping to use one day for a log cabin quilt. I’ve never made one. It’s on my bucket list of things I hope to make. I have made only one log cabin block so far and it’s for a mini. I think they are beautiful though. I’ve made three log cabin quilts–all big ones. Love this pattern with the pieced blocks combined with wool appliqué. Would love to have the pattern. The log cabin is one of my favorites also. I have fabric purchased to make one but have not started it yet. There are so many wonderful patterns available so I doubt that I will stop at one! I have made one quilt and two wall hangings. They are fun to make. I absolutely LOVE this quilt!! Melissa is Greek for honey bee, so I am drawn to the beehives (skeps). I, too, have never made a log cabin quilt, and I can’t wait for this one! I have never done a log cabin quilt either. Made a block or two, but no quilt. I have only made one full-size log cabin, but I have made several minis. I just did 2 minis with embroidery and tiny buttons in the borders. Cute if I say so myself. I have not yet made a log cabin quilt but I recently bought two patterns. I own the full set of fat quarters of your fabric Little Gatherings and have been trying to figure out if it will work for either pattern . I would love to win this pattern. I subscribe to Primitive Quilts and Projects. I have made Log Cabin placemats and did some paper piecing with this block. I love the way it looks…graduation of color. I absolutely love log cabin quilts, but I must confess, I am also a loser and have never made one. Wouldn’t this be the perfect first log cabin quilt to make??? We could do it together Lisa! The pattern is just my style. I would love to win that pattern! I have made one traditional log cabin (queen size) and am always planning to do another, but haven’t gotten to it yet. Primitive Quilts & Projects is an awesome magazine; I’ve let all my other subscriptions lapse, but this one I’ll keep because I love everything in it! Jen and her sisters (?) do a wonderful job with this publication. My first bed quilt was a Log Cabin and my first wall hanging was a log cabin arranged to look like a Christmas wreath… So I guess I have already paid my dues! Thanks for the clarification on your companies and for the giveaway! I have made couple they always turn out beautiful but after each one I say never again ha!!! You definitely need to make a log cabin quilt! Log cabin is one of my very favorites and I have made several. The very first quilt that I ever made was a king sized, log cabin. King sized? What the heck was I thinking? Two log cabins over the years–one is very “tired” at this point the other has a lone star in the center and is queen size! hand quilted—now THIS log cabin has much more to love–cats..crows..and lovely flowers–It might just have to be the third!! I have really made a log cabin quilt. It was long enough ago that it is actually hand quilted with perle cotton and fits a double bed. It had about two inch wide strips though but it’s still a log cabin!! It’s still one of the best ways I know to use leftover scraps not matter what version of the pattern you use, court house steps or whatever. My first quilt was a log cabin. I was so unsure of my quilting abilities that I would come home from the quilt shop throw my fabrics in the wash, dry them, iron them, then cut 2 1/2 inch stripes….thinking I would never be able to do anything but log cabin….I made everyone in my family one….I soon ventured out and have done alot more than log cabin…but recently I started to cut our 1 1/2 inches of all my fabrics for another log cabin…There is something so homey about this pattern. I would love to win this pattern. PS…I have just started to learn how to applique wool onto cotton backing..through Lisa’s BOW…How about that…Still learning something new everyday. I love log cabins…and I must say, especially the one hanging behind Jen! I have made straight on log cabin but a few courthouse steps…love that variation. I would absolutely LOVE to win a pattern to make this one! The appliques are wonderful! Thank you for throwing my name into the hat! Does it count that I have a log cabin quilt started? I started it several years ago in a workshop using 1″ strips. I really do need to get back to it so I can say I made one, too. I, too, have never done a log cabin. This looks like a great one to start with! I absolutely love log cabin quilts but have I confession, I’ve never made one. This one is beautiful and just my style. Lisa, we could make it together!!!! Thanks for the chance to win the pattern. I’m hoping some day to visit your shop, I always see you in Des Moines at the AQS show and manage to find a thing (or two) I need to take home with me! Log cabin is my most favorite of all patterns and I have made four to date. Love The Woolen Willow and the gals putting together this great magazine with just the best projects. Thanks for the chance to be a winner! I have made many quilts, but not the log cabin yet. It is on my bucket list. Love the Primitive Quilts and Projects magazine!! I admit, I have never made one and I love them. 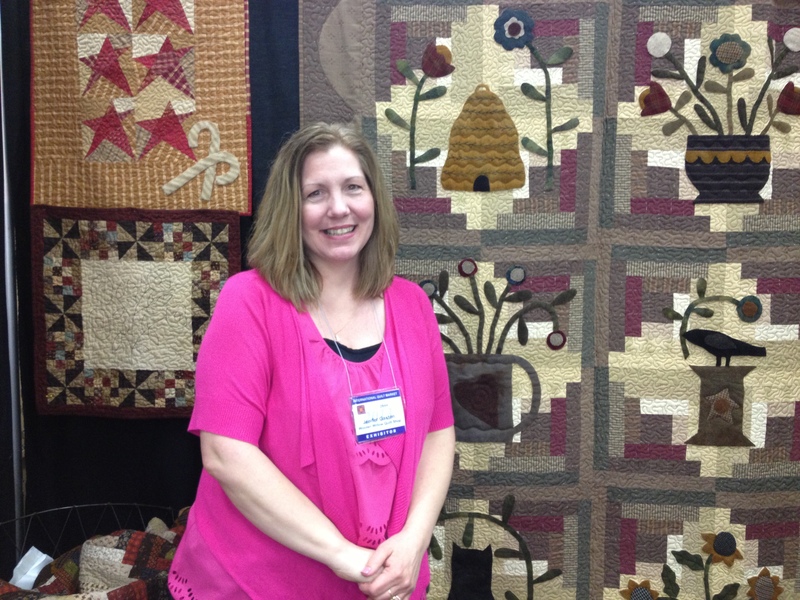 I saw Jennifer’s new log cabin quilt and I love it and would love to have it be my first log cabin. I have only made one log cabin quilt but love all the different ways you can put the blocks together to get a completey different look! I have a gold and black log cabin quilt all ready to be quilted on a long arm. the other log cabin is in the process of being built, several of the blocks are done. I love Primitive magazine and did the flower pot & flowers in wool and it hangs in my kitchen. Never thought of applique on the log cabin quilt but would love to win this design. It has all the primitive things I love. One with Mom… and one for a donation . F rom: “Lisa Bongean’s Weblog” To: rbird292@comcast.net Sent: Wednesday, June 26, 2013 1:59:20 PM Subject: [New post] Jennifer from the Woolen Willow.. I HAVE TO CONFESS THAT I’VE NEVER MADE ONE EITHER. BUT….I DO HAVE ONE THAT I WON AT AN AMISH QUILT AUCTION. I ABSOLUTELY LOVE IT! IT IS SOOO HEAVY AND WARM AND VERY BEAUTIFULLY MADE. NOT SURE I COULD EVEN COME CLOSE TO MAKING ONE THAT BEAUTIFUL, BUT THE LOG CABIN QUILT IS ONE OF MY FAVORITE PATTERNS. I made my first log cabin quilt last year using your line little gatherings. I did it in black and brown and used a red center. It turned out so nice. I cant wait to make another. My very first quilt was Elanor Burns Log Cabin in a weekend. What a mess! This was before rotary cutters. I didn’t quilt again for over 30 years. I would love to try a new “version” of a log cabin. I have made a couple of log cabin quits for two of my boys but I love the way she has added the appliqué. I love the magazine and dream about what I am going to make. I did realize you have some kitted. I will have to look at those. My first quilt was a log cabin. It was for my oldest son. That quilt has been washed to many times. I really want to make another one. So it is on my ‘to do’ list. I have made a log cabin table runner……..and I have a box of “logs” cut from leftovers. I just need to start sewing!! I have made only one Log Cabin quilt, a miniature one in fall colors, which I love. I have been itching to make another one. I love this magazine! I’ve only recently discovered it. I don’t know how I could have missed such a excellent magazine! I’ve done log cabin blocks before, but never a entire quilt of them. I have only made log cabin blocks as part of BOM’s, but would love to make one. It’s such a versatile block that can have so many different patterns by varying the colors. I’d love to have the pattern ! The very first quilt I made as a teenager was a log cabin – two, in fact, to go on the two twin beds in my room. I did not quilt again until 3 years ago when I was much, much older than a teenager! I would love to do a log cabin quilt again, now that I know what I’m doing! I have only made log cabin blocks once and that was for a border on a Christmas quilt I made a while back. Very pretty pattern! I made one king sized Log Cabin with Eleanor Burns, original pattern. I also made two with her Star Log Cabin pattern. I did one miniature Log Cabin with half inch finished logs and also a Courthouse Steps in the same size.Yes, I love them and they are fun to do. Lisa, you should do a miniature! I have never made a Log Cabin Quilt yet, but I will be incorporating some of the different Log Cabin quilt blocks into a cowboy quilt I’ve designed for my dad! I have always loved the way the Log Cabin Quilts turn out…they are so beautiful! I would love to win this pattern and try my hand at it, as I have plenty of fabric stash to use as well! I would definitely try doing it scrappy and with coordinating fabrics! My first “official quilt” (first one was a panel) was a log cabin made from the Eleanor Burns quilt in a day series. 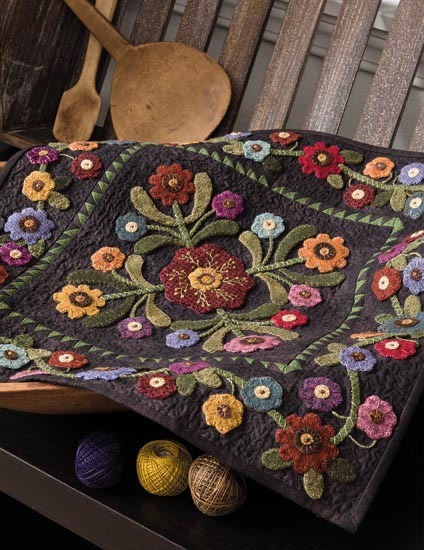 I do love log cabin quilts, and particularly love this one with the wool applique, so cool. I have several issues of the magazine, always happy when I can spend an afternoon drooling over the new issue with a cup of coffee or tea. Always drool over your stuff too, though. Way behind the eight ball on log cabins. I’d love to make a little one with 1 inch strips. Someday! Thanks for the chance to win. My very first quilt block was a log cabin but I have never made an entire log cabin quilt. It is definitely on my “to do” list! Log Cabin is actually one of my most favorite quilt patterns. The first one i made was for a wedding gift for my son’s friends. It was queen sized and contained 1400 pieces! It was all from my scraps and very small yardage. Oh, how I wish I had kept that quilt for myself and made them something else. Any pattern with a log cabin in it always gets a second or more look from me. I must confess also I can’t remember ever making even one true log cabin block quilt. I would be proud for Jen’s log cabin garden to be my first. Have only completed one, but two others are in progress! One small one only, but would love to do this. Thanks for the opportunity. I have made 5 or 6 log cabin quilts as it is one of my favorite patterns. Would love this with wool. I too have never made a log cabin quilt. This pattern entices me to make one because it is combined with my first love…..appliqué!!! Add me to the loser list too! I’ve made only blocks never a whole quilt but that will change after seeing that beautiful quilt behind Jennifer with the appliqué ( which is my favorite thing to do). By the way she has a great shop too, stop by on my trip to Ohio to Amish country. I have not made a log cabin either but I would like to sign up for the block of the month to make Jennifers quilt. It is quite lovely. No, I have never made a log cabin quilt! And that quilt is stunning! Thanks for the chance to win this lovely pattern. 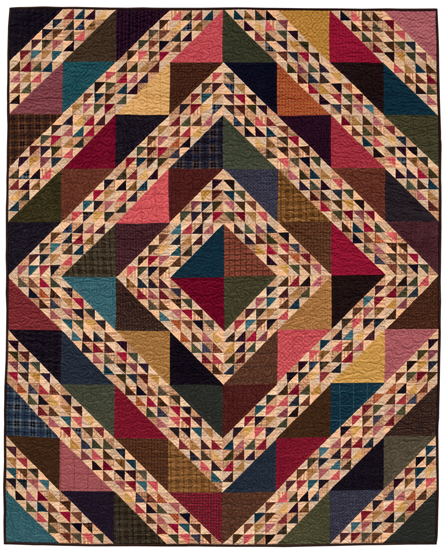 I love log cabin quilts and always admire them, but have only done the log cabin wall hanging in your Prairie Women’s Journey One. Maybe I need a complete pattern to be challenged enough to make a complete quilt. I have seen some nice ones with applique added. I have started one but didn’t finish it. Well, actually I made a Christmas Wall hanging that was a center medallion surrounded by 12 log cabin blocks…I guess that counts! I have not worked on a true log cabin quilt yet, but I have been it in the list for a future project. This one looks amazing and will be looking forward to this as a BOM later in the year!! I have only made one log cabin and it’s only a table topper size. Thanks for the chance to win Jennifer’s pattern. I’ve made two log cabin quilts, one was from the “Little Quilts” book. The other one is only a top so far. Would love a pattern, especially with wool applique! I have made one log cabin quilt. It is one of the first quilts I ever made and I took a class where we put our strips in a bag and whatever we pulled out was what we used next. It was a fun way to learn to not over-plan my quilts or agonize over fabric placement. Now I love scrappy quilts! I made one 15 years ago. I think it’s time to make another. I would love to win Jennifer’s pattern and make that one. So far I have not yet made one but I love the look of them and want to try one myself someday. I made a log cabin and quilted it with all the pretty stiches on my sewing maching . I’d love to try this one! While I can only claim 1 log cabin by you “rules”, it was my first real quilt. A wall hanging that still hangs over my fireplace mantle today…10+ years later. I have done several lately with a version of court house steps that make the cent block look like it is on point. It is one of my favorite settings, even though it is a bugger to layout. I just got week 4 of th wool bow… It is amazing. I love this block! I am currently caught up and have all e blocks done for both the bow and freebie! I was going to take a break to meet some other deadlines, but you are tempting me! I made a flannel log cabin many years ago before we had gorgeous flannel fabrics to choose from. My family has just about worn it out – it’s the favorite “nap on the couch” quilt. May be time to replace it………..
I’ve made one only – king size. Took ten years to complete! I began when I was pregnant with my daughter and gave it to her for her 10th birthday. It was the first quilt top I ever made and was hand cut with scissors – didn’t know anything about rotary cutters and rulers back then! My daughter is now 21 and that quilt lives permanently on her bed so I consider all the work it took as well worth the effort! I have never made a log cabin square or a quilt but would love to. I’d like to start with Jennifer’s Log Cabin Garden. I’ll be looking for it when it’s a BOM. You can add me to the loser column. I have one small table topper that is an adaptation of a log cabin, but I have yet to quilt it. Now if you had asked about applique. . . I like log cabin blocks and the variety of settings the block offers. I have one miniature log cabin quilt. Would love to make a queen sized quilt. Thanks for a chance. I am a beginner and have done many quilts yet, but the Log Cabin is definitely on my to do list for the near future. OOPS! I haven’t done many quilts yet. I love log cabin designs and have a whole file folder full of different settings. However, I have only made one LC quilt. The log cabin was the first quilt I made (Quilt in a Day) many years ago! I have made about 6 log cabin quilts. They are so versatile as to the pattern arrangements. I haven’t done a log cabin quilt either, but it is one of my favorite patterns. 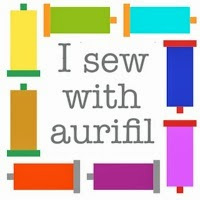 I do wool applique, so this pattern would be great for me! One of my first quilts was the original quilt in a Day log cabin by Eleanor Burns. Believe it or not, the directions had you tear the strips of fabric! I did a couple more after that when I found out about the rotary cutter and mat. I really enjoyed each of them and use a different setting for each one. I’ve made two: The first was years ago, in pink and green, and i tied it. My daughter uses it as a beach blanket! The second is much nice–I made it for her bed. But I’ve never embellished or added applique to a log cabin-that would be pretty. I also hope to make a courthouse steps some day. Thanks! As a “young married” in the early 80’s and living far from home in Rockford, IL, I took a class at a local quilt shop. We made a log cabin Christmas tree skirt. My very first quilt I made was log cabin (Quilt in a Day) back when I was a teenager. That is when my love of quilting began. What a gorgeous pattern, I would love to win it. I have not made a log cabin quilt yet, I have made a block and some types of variations, but never a true log cabin. I love log cabin quilts, if I win, I will have to make this one! No – I’ve done a few blocks for a sampler quilt but not a whole log cabin. Loser here –but it’s definitely on my “Bucket List”! This one is gorgeous! I have made one log cabin wall hanging and 2 quilts. The wall hanging was my very first quilt and fell in love with the pattern. I have admired Jennifer’s quilt, I just love the applique. Easy question -easy answer— I’ve made two log cabin quilts. Each given away when my kids were exchange students for the summer. one to France and one to Mexico. In fact – the french quilt was the first quilt I ever gave away. I learned a ton of lessons about making quilts and letting go of them, about sharing your love of quilting with others…. I am a fan of Jennifer and the magazine… Tons of talent in both. A Log Cabin quilt was the first one I made. I have made 5 more. Fun to do! Thanks for the chance to win. I have never made a log cabin either and dont know why! I bought a ruler especially for log cabins but haven’t used it, hopefully someday. I have made one. In 2010 a tornado went through and I made log cabin for my niece who lost her home and another (jelly roll) quilt for friends who too lost their home. They were both awesome to make in a hurry and to give them something to help brighten their day. Two. The one was in reds, greens and whites with little black seed like shapes appliqued on it. Looks like watermelons and is the perfect picnic blanket. I love the look of a log cabin quilt, but have never made one. I would be willing to try something new though and the pattern would be a perfect place to start 🙂 On another note, I am a huge fan of the Primitive Quilt and Projects magazine. It always has a bunch of amazing projects and ideas. Well if you are a loser than I will join your club. I have never done a log cabin quilt. As beautiful as they are, I have no idea why I have never done one. I guess I need to get in on that BOM when your shop is ready to start it! I too love the log cabin quilt. i think i have made 5, but would always love to make another. Log Cabin was the first quilt I ever made in 1987. Since it said “Quilt in a Day” I went with it! Glad I have branched out. Still do like the variety of patterns that can come from one pattern. Just a wall hanging size one but this pattern looks very fun. People that do them say they are a bit addictive. I have made four log cabin quilts. One was for my brother and another for hospice. I also made a small log cabin wall hanging for a local shelter and one for me… that was done in red and cream fabrics. I have made four! It was my first quilt and has been a ‘go to’ since. I would love to win this pattern. It’s so beautiful! Loser here. I’ve made a variation but not the real thing. This pattern could be the start of something wonderful because, I have never made a log cabin quilt either. Sunflowers Around the Courthouse Steps was the second quilt I started (still a UFO after 9 years). Thanks for the opportunity to win this beautiful pattern. I have made one, this was one of the first quilts I did. It is huge, a king size and I had it custom quilted. It is on my bed. I started it as a retreat project and from start to binding, took almost a year (6 months to piece). This one was done in the recommended colors and fabrics from the retreat organizer (Jane Quinn from Bozeman, MT), but if I were to do another one I would choose totally different colors. That being said, the quilt is beautiful and fits my bedroom perfectly. My first quilt was a log cabin. Thanks for the giveaway. I have made 4 log cabin quilts. One for my bed and 3 lap/baby quilts! I haven’t made a true log cabin either. Probably time I do. Sue D.
I made a log cabin quilt and loved the patter so much that I made a table runner. I have made lots of Log Cabin quilts. It’s one of my favorite patterns. I can’t say how many thought since I get the tops done but still have to sandwich them up (soon I hope). Getting ready to make up another one that is called the Watermelon Quilt by Black Mountain. I have never made a log cabin quilt but it is one of my favorites and on my “to do” list! Jennifer’s log cabin is awesome! that I pieced together was a gift for my friend, she bought the kit, and I stitched it together. I want to give a shout out to the magazine, Primitive Quilts & Projects. I subscribe to the magazine, and it is wonderful. Such a variety of patterns, from pin cushions to wool pennies to quilts! Fantastic! I have only made one, but it was my first quilt. I still have it thanks to my mother-in-law who wisely saved it for me. It is in browns and whites. Now I look at is and smile, but what was I thinking! I love the Log Cabin technique but have not make one yet. It is on my bucket list of quilts though. I think I need to live to be about 107 to get all the quilts done that I want to. Log cabin quilts are one of my favorites, the very first quilt I made was a log cabin. Since then I have made two. Really like the looks of this one. The very first beginning quilt class I took taught the log cabin quilt. I have to tell you that it turned out pretty wonky since I didn’t know a thing about accurate cutting or piecing! In fact, I’ve never finished the binding since it is so out of kilter. Today I use it as cover for my sewing machine – I can’t ever get rid of it since it was my very first quilt and wonky or not, it was fun to make and holds a cherished place in my heart!! Eleanor Burns Star log cabin was one of my very early projects. I have made a few more log cabins thru this quilting journey. I am drawn to the history of quilting and love that this pattern has such a ling history and is still current today. Red centres for the heart of the home – love that! My very first quilt and very first quilt class was a traditional log cabin. It is king sized and hand quilted. I was in high school and was injured while playing softball… Broken ankle. I was on crutches and sewed the quilt with my left foot! I love the magazine! The girls do a great job! Many years ago our guild made a mystery quilt at camp- it was a star log cabin and mine was a queen size in red, white and blue. It would be fun to have a log cabin quilt as a throw & I would LOVE to make one with wool applique ~ how cozy is that! In the 1980’s when I started quilting all I made were log cabin baby quilts. Thats all I knew at the time. Haven’t made one in 25 years and would love to make the one Jennifer has designed!! I’ve made 3 or 4 and loved them all. It’s one of my favorite patterns and with wool applique it would be awesome. I love that pattern! I can’t wait to sign up for the BOM. I’ve only made 1 log cabin quilt, it was a Christmas Wreath wall hanging. It was one of the first quilts I made before I knew what I was doing. I still put it up every year but I cringe at the workmanship. I have all the rulers to make a log cabin quilt but must admit I never have. I love them though and really love the pattern you are giving away. I promise if I win I will definitely make it!! The first quilt I ever made was a log cabin! My favorite still! I would love to make a second one! Thanks for the chance to win a wonderful gift! Woolen Willow is a great shop and great group of gals. It is located in WILLIAMSTOWN WV Williamsburg is in Virginia. I live in Shepherdstown Wv and have gone to visit them even though they are located on the other side of the state. Love you and all the gals. Log cabin pattern? LOVE it! I’ve made one wall hanging and 2 placemat-sized civil war repro projects. Haven’t used log cabin with wool though, yet. I love Jennifer’s magazine and her patterns, as well as those from Prim Gatherings. Love her pattern. I’ve made on log cabin and have another half done. I have done 20 or more log cabins. I love them! I’ve been called log cabin Patti almost from the first of my quilting time. I must confess, my first quilt ever is a log cabin. But sadly it is still a UFO, but maybe now that you got this out of me I will pull it out of its hiding place and finish it. Love the new look of her log cabin. My very first quilt was a log cabin pattern. I have made one. Just a couple of years ago. I didn’t want to for a long time thinking that it would be too much hassle trying to get all those logs to fit just right, but it wasn’t bad. I made a small one for my daughter out of very bright fabrics. Making a more traditional one for myself is on my quilting bucket list. Let me count the ways! I have made 1flannel log cabin, 1 miniture log cabin, 1 baby log cabin, 1 log cabin with applique, and 1 traditional log cabin! But, I have never made oe with wool applique. they go together fast and it s ne of my favorite blocks. I made 3 Log Cabin quilts for each of my kids for Christmas a few years ago. 2 queen size and 1 king size, they loved them. I am an absolute LOOSER never made a log cabin in al my quilting years! I’ve made six real log cabins. I made a pretty little log cabin wall hanging for my mom. It’s done in cottage-y greens and creams and geranium reds. My sister and I redecorated my mom’s bedroom after my dad died; we painted it a soft green, and made “girly girl” draperies with little pink rosebud fabric, and made a sweet cottage quilt for her bed. The room is lovely for a lovely lady. She keeps the room in such a state that you’d think a teenager lived there! Sometimes there are clothes on the floor and jewelry all over the dresser …. she had to learn to start over again on her own after dad died, and while she misses him daily she has found a group of “girls” to go to the movies with, go out to lunch, take casino trips, exercise with… we got a new mom when we lost dad! So when I think of log cabins, I think of mom building a new home and new life in her wilderness without her lifelong mate. (And the first thing you see when you go in her house if you look down the hall is my little log cabin quilt – she was touched that unmade it for her new room). those left over strips. Would love to make more. I don’t think i’ve made a log cabin quilt either as nothing comes to my mind. I guess I will need to put that in my bucket to work on! I guess I belong in the “loser” category. I have not made a log cabin yet. I talk about making one, but just haven’t done it yet. I have made one queen size log cabin quilt all out of homespun. I had decided that I was going to make a quilt for each of my 3 girls and Sara got the first one. The other two eventually got theirs but they were not log cabins! I have made a cute little baby quilt using 30’s fabric with a scalloped edge. I hand pieced and quilted it. One of my favorites! I love the Log Cabin block! I have made 2 Log Cabin quilts, but dream of doing many more! Thanks for asking! I have not made one yet, but i do have the fabric ready to go. I’m a looser too. 🙂 I did finish a wonky log cabin, but it’s just a few blocks surrounded by grey. It’s not traditional and doesn’t count :). Loving your blog and work. I must be a loser like you. I have never done one but I would like to some day soon. Maybe I will find the time and then I won’t be a loser any more. I am sort of a loser too…. I have made a small wall hanging many moons ago. My goal is to make a king size one for the bed. Darn job gets in the way of my quilting plans. More plans then time right now….. Love your work . options and different looks you can achieve. I guess I’m a loser like you, Lisa. Ha! I need to do this. Will be interested in the BOM. I have made log cabin pillows, a few log cabin blocks for a block exchange and that is about it!! Never, ever have I done a whole quilt! a log cabin machine quilt-as-you-go in reds and greens was my very first quilt. i love the pattern as it is so very versatile. Yes. Log cabin is my fav!! I love log cabin quilts. To me they represent family, hearth and home. I have not made any log cabin quilts yet, but I bought an antique quilt top that I need to quilt and display in my home. I subscribe to Primitive Quilts and Projects and love this magazine. Thanks for a chance to win this pattern. First quilt book I ever got was for a log cabin and I still haven’t made one. # 3 !! have enjoyed them and look forward to more in future ! I think I’ve only made one – and it was small – and paper pieced. Log Cabins are my favorite, homes and quilts! I have made only a few though, need to make more! I have made 1 log cabin quilt, and log cabin runner. They are REALLY fun to do!! You are gotta try one for sure. I would adore winning this pattern!! Log cabins are fun. I have made 2 full log block quilt and 1 half log block quilt and I am working on a wonky log block quilt. Log cabins are my favorite block for using up scraps. PS no matter who wins happy sewing! I have not made a log cabin but have several patterns. Sure would love to do this one. All that wool. Love. Also love her magazine. Many log cabins for me, it’s long since been once of my favourite patterns. I’ve made everything from small wall hangings to King size bed quilts. My first log cabin was made from a pattern from Primitive Quilts and Products. Have been getting the magazine since their beginning -love it. I have made one log cabin quilt and one tablerunner………so I am almost a loser like you….just kidding. I have been having a yen to make a really big log cabin lately. I have a feeling it will happen before I know it. I have made one large log cabin quilt and several small quilts/table runners/ wall hangings. They are fun because of all the different layouts you can do. Years ago I made a log cabin quilt for my son. I also have a quilt in progress, small steps by Jo Morton from a magazine. This pattern can be time consuming as you need to keep trimming to keep the size correct. I would love to do this pattern, couldn’t get any better combining log cabin and wool. Thanks for the opportunity to win. Years ago I made a log cabin quilt for my son. Currently, I have a log cabin quilt in progress. It is a Jo Morton pattern from a magazine. The pattern is small steps. Fun to work on but time consuming as there is a lot of trimming involved in order to keep the measurements correct. I love the pattern you are showing. Log cabin with wool applique, couldn’t get any better. Thanks for the opportunity to win. I have made four log cabin quilts; but never courthouse steps. I’m sure I’ll get to those eventually. So many patterns, so little time!! I am very pleased to say that I am friends with Jeni and her sisters Gretchen, Sally, and Judy, and of course her mom Mary and dad George!! I love them all and are very happy with their success. I have seen this quilt up close and in person and it is BEAUTIFUL!! not only have I not made a traditional log cabin, but not any of the other zillion settings either…a block here or there in samplers (that have not always turned out so well in my earlier days)…I think this pattern could change all that! Thanks for the chance to win it! even though log cabin was my mom’s favorite block, I have never made one myself. I have appliqued on a lot of them for various people, her included. I have only made one twin size log cabin quilt BUT have used the log cabin technique in many quilts. Hope that qualifies for some kind of credit. Thanks for thinking of us once again, Lisa. I’ve only done 2 on my own, but the block is a favorite for guilds and I have made group blocks for lots more. The one behind Jennifer in this picture may just be my favorite of all! BOM, LB???? I love the symmetry and variety of the log cabin blocks. I have only made a few as I have to confess, I love a lot of other blocks and styles as well….. Thanks so much for sharing. I am a LOSER too. I love the log cabin quilts but never made one yet. It it is on my to do list. The one behind Jen is simply beautiful with the wool applique. LOVE IT!!! My passion is wool applique, would love to do that quilt. The quilts looks great and would I would certainly enjoy stitching one for the 1st time, especially with wool applique. It’s always fun to try something new. I love the versatility of the log cabin quilt, and have made several. A star log cabin, 2 weavers log cabin quilts, one for a friend, one with batiks (very fun) and several quilts that included log cabin blocks in them. Give it a try girl – you can do it! 🙂 Hope you are enjoying your summer. I have made 3 log cabin quilts – – I love how versatile that pattern can be. I like this old traditional pattern and have a couple more versions in mind that I would love to make! I have made only one – but I bought a new ruler at the NQA show this weekend, so hopefully more to come. The very first quilt I made was a log cabin. I also recently made another one that’s still currently just a quilt top. I’m trying to think of an applique design to add to the top, before I quilt it. I absolutely love the simple lines of the log cabin block and that it can give you so many different looking quilts. I started making one several years ago using 4″ blocks, but haven’t finished it yet. This has inspired me to get working on it again… thank you, Lisa!! I have made small projects—-Big ones? They always come out lopsided, so I need new “stuff” to try and make it better!! The quilt shown is super delicious looking!!!! My style–flowers–love it. I have made small logs to put on cards. See you in LB. Funny you should post about Log Cabins today because today I am finishing up my blocks for a traditional Log Cabin quilt. A fun quilt block to do. Can’t wait till I get it to my quilter. It is such great combination of colors; Reproduction fabrics in blacks and creams and center block is a gold star. Lovely. I have made two just finished a queen size love the log cabin pattern it is everyone’s favorite. I also just love Log Cabin Quilts, one of the first quilts I ever bought at a flee market was a Log Cabin. but I have only made 2 of them. One was a blue jean quilt and the other was made from 30’s fabrics. They are really beautiful and need to put this on my bucket list to make one for myself! Thanks for the chance to win the pattern. I made a log cabin wall hanging but never a full size quilt. Love this pattern. Would love to make it. I have made log cabin blocks to go into a sampler quilt. Otherwise I have not made just a log cabin quilt. I think I need to add that to my list. Thanks for the giveaway. I have made several log cabin quilts – both big and small…..it is one of my favorite patterns! I have made recently “raising the barn” but no log cabins! I want to t make a Christmas quilt of log cabins, I could see that I could maybe make one out of Jen’s pattern – Lord knows I have enough Christmas fabric I been saving!! And we all know the old saying ” the one who dies with the most fabric wins”!!!! Anyways Happy Fourth to everyone out there!!! As much as I like them, the only log cabin quilt I have made was for the silent auction for my quilt guild’s quilt show year’s ago. I am the biggest loser! I’ve never made a log cabin quilt! This would be the perfect time to start though. Wouldn’t ya say? It’s beautiful! I can remember 7 for sure, but I definitely think there are more than that. But none of them are Courthouse Steps blocks LOL! (Commenting again because I put the first one in the wrong place – whoops! I’m right with you, Lisa! Have never done a whole LC quilt……have done small blocks for pillow covers, but never ventured further. I have made many, many log cabin tops, several whole quilts….back in the dark days, I pieced tops and they were taken to the next house to be hand quilted…..ugh. Like being in a sweat shop! I have made several for family since then but my favorite top is a small scrappy top. I put 1 1/2 inch strips in paper bags, one with lights and one with darks. I pulled them out of the bags so they wouldn’t be “matchy” and sewed the blocks. I still love that small quilt and use it every day. It reminds me of many of your wonderful small pieced quilts. I have only made one log cabin quilt, not large, 24 inches by 24 inches…however I love it very much…planning on trying the courthouse steps version. Thanks for the opportunity to win such a pretty pattern. I have never made one but have always admired them! I’ve never completed a log cabin but this one I would…it is beautiful. Lets see…… I can think of three Log Cabins that I have made, one of my favorites is a Christmas one. Zero! I have made a couple blocks for different quilts, but never a full quilt! So, this would be a great one to start with – it’s a beautiful quilt and the applique would make it alot of fun! I’ve made three-the first was green and pink about 22 yrs. ago! Then a queen size for my daughter and a small lap quilt for myself. I’d like to do a courthouse steps some day. I always enjoy your blog and your quilts. The giveaway pattern is lovely. Thanks very much. I have made a few, it is one of my favorites and so versatile with so many variations. With your Wool and Needle flannels you could make a wonderful one. Me do a whole log cabin quilt!!!! I have done squares that go into a project–some have been paper pieced!! Nice try—but, the wool one shown is just the style that I love. Let’s give it a try in 2014 — everyone!!! Fastidious replies in return of this query with firm arguments and explaining the whole thing about that.